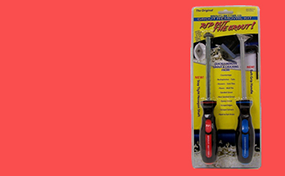 Shop now for tile and grout colored caulk, grout colorants and grout removal tools. Custom colors available. NEW! KITCHEN & BATH SILICONE IN SOLID AND TRANSLUCENT COLORS! We are the online authority for DIY help with home tile grout remodel or repair - - And we love to answer your questions. 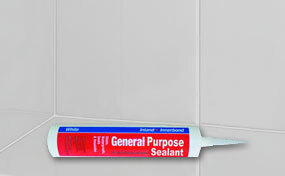 We carry a huge selection of caulk colors to help finish your kitchen, bathroom or shower tile grout projects. 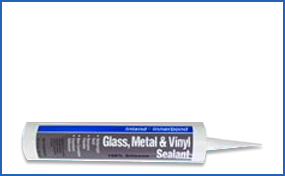 If you are looking for a specific caulk for a home or commercial application, we probably have it! We carry the premium Spectrum Manufacturer brand as well as the Color Fast line with their Ultra-Performance line of caulk. 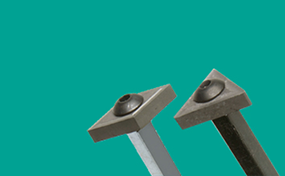 Take a look at our Grout Colorant kits. They are available here in so many colors you won’t believe it! Many people come here to buy old discontinued colors because we have the formulas of the hard to find old grout color that was used in their home. So don’t worry, we carry the new grout stain colors and old grout colors of all the major grout manufacturers like Custom Building Products, Mapei, C-Cure, Hydroment, Laticrete, Quartz Lock2, TEC, Bonsal, Summitville, SMG, Merkrete and more! 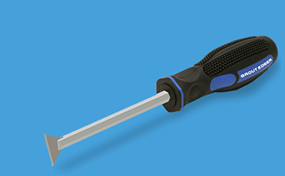 We also carry the famous Grout Getter removal tool to help you get ready for your re-grout project. Don’t forget to grab the Corner Pro tool also. It helps clean the thin set out of the grout joints and corners before you grout, so your new grout mix goes in smooth and clean. 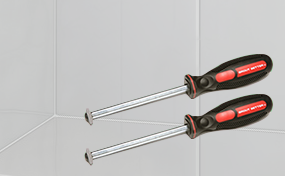 If you have questions about caulking or colorant applications, at the bottom of the page are many articles in our “Grout Guide”, “Caulk Guide” or “Problems Solved” section you may want to review. Thank you for shopping at “Grout Getter”! I really appreciate your assistance by phone today in resolving the color issue on the grout I needed. You represent what America really needs: good, old-fashioned, great personal customer service. Thank you! I won't forget it. Wow, thank you very much! I will definitely use you in the future for grout products. I hope you had a wonderful Christmas. Happy New Year. Thank you so much! We just finished the bathroom in the parchment grout and can't wait to caulk the new counter top and tile with the matching caulk. Your website was a pleasure to use and your customer service fantastic! Thanks for the help and support. I needed a hard to find caulk that was both, colored and sanded, as well as flexible and watertight for the base of a shower. Grout Getter not only had it, but the perfect color match as well. The quality of product and service has been fantastic. They will get my future business. That is what I call EXCELLENT service - Thanks for the response - since I am happy with your response I thank you and wish you a happy holiday season!!!! I am anxiously awaiting my linen grout! Thanks again. I got to use the Grout Removal Tools for the 1st time today. Man that thing sails through grout! The only thing that does better is the die grinder, which generates enough dust to choke an elephant. I had to rake out about 10-12 running feet of grout and finished it in about 15 minutes. Just finished using the Grout Getter Tool and it was FANTASTIC!! At the age of 52 I was not looking forward to this task. The Grout Getter made it virtually effortless. I cannot express how easy this tool performed or the time and effort it saved me.